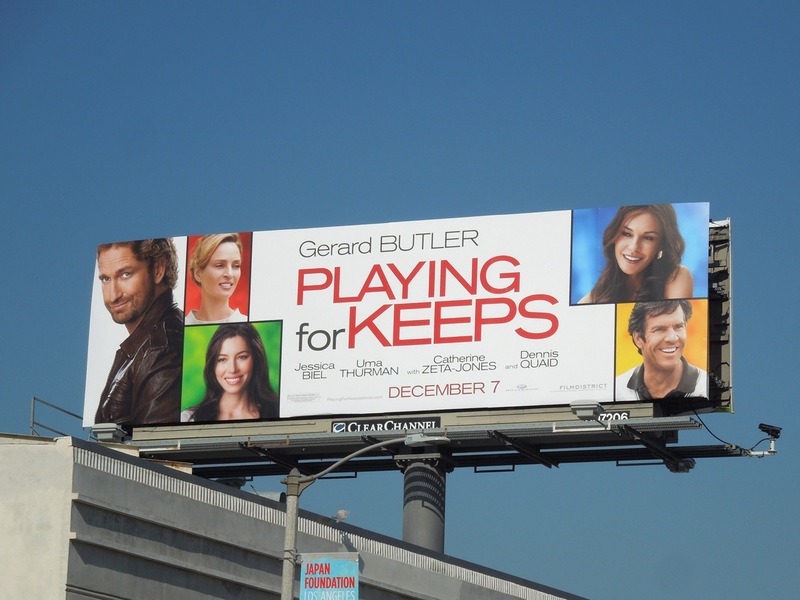 Gerard Butler hasn't had much success at the box office of late, so this holiday season he's trying his luck with a romantic comedy called Playing for Keeps. 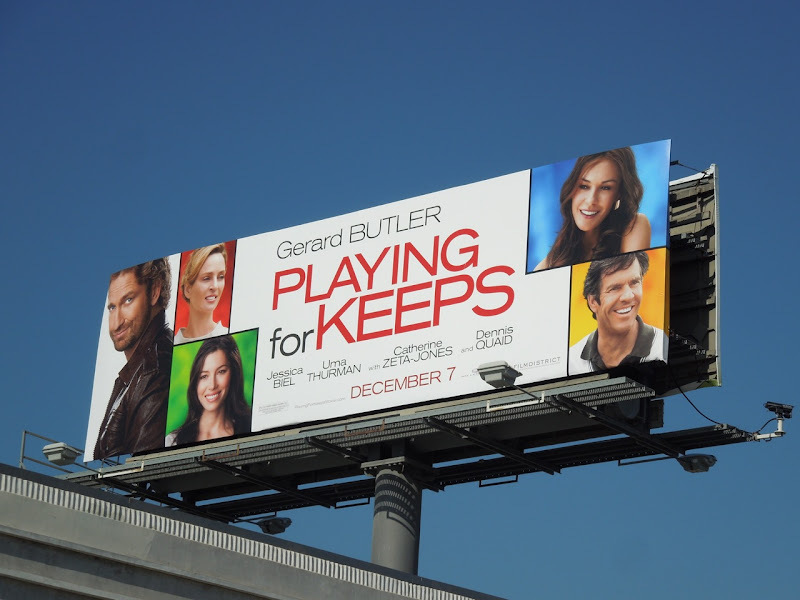 He plays a former Pro Soccer star juggling soccer moms, parenthood and his ex-wife, but will he be able to find true love in time for Christmas is the burning question? 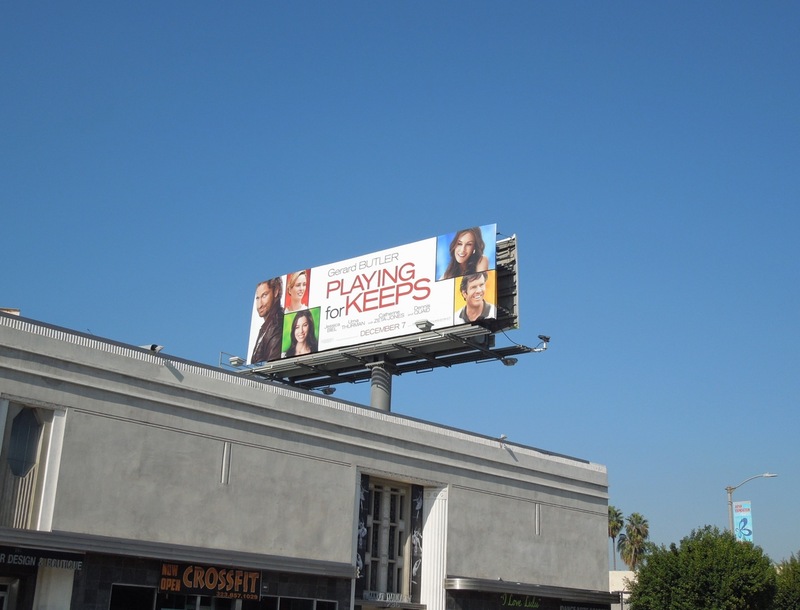 This billboard for the movie was snapped along La Brea Avenue on November 22, 2012. 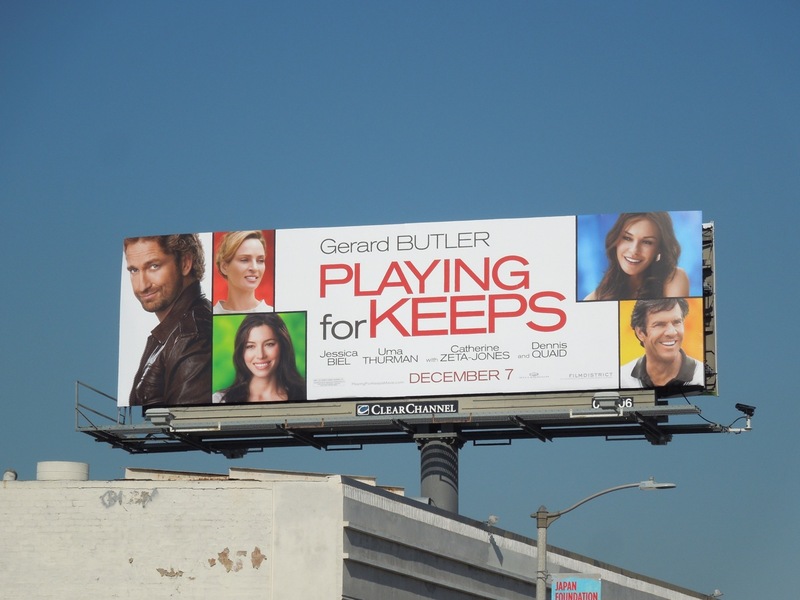 If you're a Gerard Butler fan, be sure to also check out these giant billboards for Chasing Mavericks and Machine Gun Preacher.